At Sunnybrook we know that involving patients and families and listening to their feedback will help us provide the best possible care that is better informed, more responsive to needs, collaborative and more likely to achieve better outcomes. If you are a patient or family member and would like to get involved in discussions to help us improve care and service for the 1.3 million patients we see each year, please consider applying to become a patient and family partner. Our patient and family partners are involved in many different ways, including patient and family advisory councils, committees, working groups, or with a special project. We are also building our capacity to conduct online engagement that you can participate in from home. 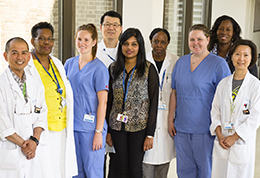 Our patient and family partners will help shape the future of care at Sunnybrook. ▸ What are patient and family partners? 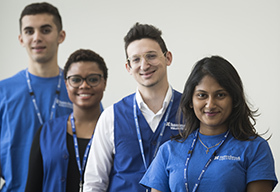 Patient and family partners are people who provide staff with the perspective of patients and family members who rely on Sunnybrook’s programs and services. They work in collaboration with the hospital to create a person-centred care environment and experience. ▸ Who can become a patient and family partner? 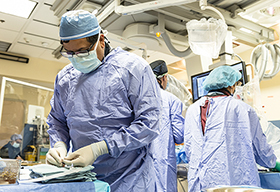 Patient partners must be a patient, family member or caregiver of a patient, who has received care at Sunnybrook Health Sciences Centre within the past three years. Be able to commit time to participate in meetings (either in person or via phone/teleconference), or provide feedback in other ways (such as over email). ▸ How are patient and family partners involved in the hospital? Patient and family partner on a council, committee or working group: participate on a specific council, committee or working group as an equal member alongside staff members. Patient partners provide their advice and perspectives on the work that the group is undertaking. ▸ How are patient and family partners matched with projects or committees? Requests to partner with patient and family partners are sent to the patient experience advisor (PEA). Upon review, we will send out requests to our list of patient and family partners that have experience or expressed interest in the topic. We will send out a description of the type of project or work and the specific dates and times that are being asked for. Patient and family partners can connect with the PEA to indicate that they would like to be involved, and their availability. The PEA will confirm your involvement and connect you with the local project, committee or working group lead, who will give you any additional details you might require to be prepared to participate. Alternatively, potential patient and family partners may be identified directly by the clinical team interested in working with them, in which case the PEA will work one-on-one with you to ensure you are prepared for that role. 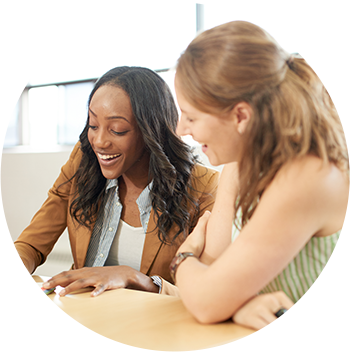 Do not hesitate to connect with your PEA if you are not available for project/committee work and would prefer not to be contacted with new opportunities. ▸ What is the committment? Time commitment: This will vary depending on the program / project. In order to ensure fair representation from our many patients and families, the maximum term that a patient and family partner can participate in any one engagement opportunity is two years. 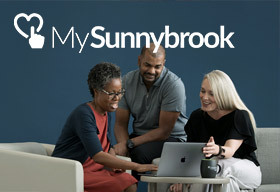 Patient and family partners who are interested in continuing to work with Sunnybrook beyond the two year limit are encouraged to apply to engage with us in another capacity. The cost of parking will be covered by the individual unit, team or committee that you will be working with as a patient and family partner. Parking passes provided will typically be on a one-time basis (provided each time you are here) and are not to be used for purposes other than patient and family partner activities (such as visiting someone at the hospital, coming in for appointments, etc. ).